The IAPAM announces the next date for its respected Physician hCG and non-hCG Medical Weight Management Training seminar, May 16, 2014 in Scottsdale, AZ. Las Vegas, Nevada, USA (April 16, 2014) — Physicians are cognizant of the increasing the number of patients they manage, who are overweight or obese. Offering a medically supervised weight management program is essential to meeting patient needs, as well as providing a non-insurance based revenue stream to practices. To “enRICH” physicians, the IAPAM announces the next date for its respected Physician hCG and non-hCG Medical Weight Management Training seminar, May 16, 2014 in Scottsdale, AZ. • Patient Guidebook, that explains the program in detail, including over 50 program tips, as well as over 20 pages on the all important “maintenance” phase of the program. It includes information on: portion size, the Glycemic Index, how to read a nutritional label, tips on how to combat emotional eating and cravings. With more than 60% of Americans overweight or obese, seeing 30 patients a month should not be a problem for most practices! The IAPAM’s new Medical Weight Management Training video (http://www.youtube.com/watch?v=d-YGEQ0t0yw) outlines the IAPAM’s New Clean Start Weight Loss programs. The IAPAM announces the next date for its respected Physician hCG and non-hCG Medical Weight Management Training seminar, April 4, 2014 in Scottsdale, AZ. Las Vegas, Nevada, USA (March 12, 2014) — Physicians are cognizant of the increasing number of patients they manage, who are overweight or obese. 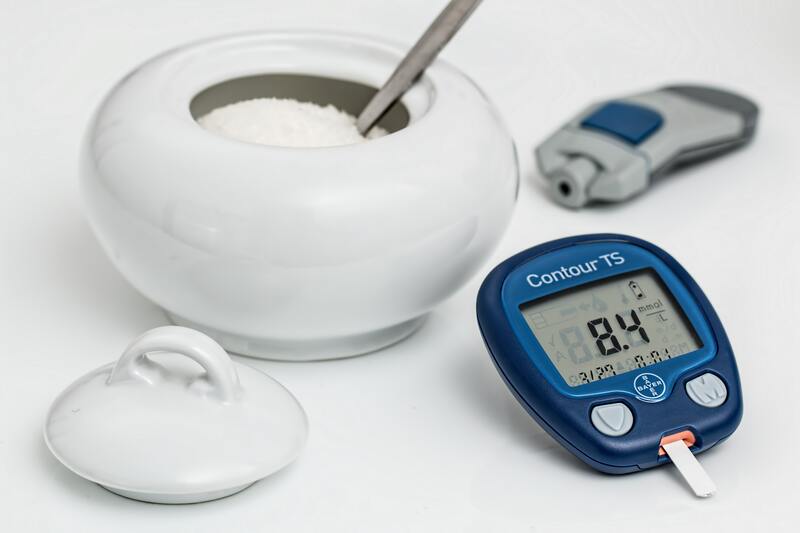 Offering a medically supervised weight management program is essential to meeting their patients’ needs, as well as providing a non-insurance based revenue stream to practices. To support physicians, the IAPAM announces the next date for its respected Physician hCG and non-hCG Medical Weight Management Training seminar, April 4, 2014 in Scottsdale, AZ. What revenues can you expect to see by offering the IAPAM’s Clean Start Weight Loss program? With more than 60% of Americans overweight or obese, seeing 30 patients a month should not be a problem for most practices! The IAPAM’s new hCG Training video (http://www.youtube.com/watch?v=d-YGEQ0t0yw) outlines the IAPAM’s New Clean Start hCG Weight Loss program. Register today for the April 4th, 2014 training session. To register or for more information, please visit http://www.iapam.com/physician-weight-loss-training-using-hormones or contact the IAPAM at 1-800-219-5108 ext 708. The IAPAM’s Aesthetic Medicine Symposiums were specifically designed as a “one-stop” program to add the top 5 non-insurance based medical treatments to a practice, or to start a new medspa. Today, the IAPAM announces the fall 2013 dates for its respected Aesthetic Medicine Symposiums. Las Vegas, Nevada, USA (August 12, 2013) — With the impending reductions in insurance reimbursements in the US, it is more important than ever to educate physicians on the benefits of adding concierge medicine modalities to their practice. Physician need to offer cash-based procedures coupled with a weight loss program to achieve financial success. The IAPAM’s Aesthetic Medicine Symposiums were specifically designed as a “one-stop” program to add the top 5 non-insurance based medical treatments to a practice, or to start a new medspa. Today, the IAPAM announces the fall 2013 dates for its respected Aesthetic Medicine Symposiums. The American Society of Plastic Surgeons (ASPS) reported that “surgical procedures grew only by 1% in 2012, but non-surgical treatments, such as botox, dermal fillers and chemical peels grew by 6%.” Therefore, physicians considering the launch of a medspa are making a wise business decision. The International Association for Physicians in Aesthetic Medicine’s (IAPAM) Aesthetic Medicine Symposium is designed by physicians for physicians to assist in adding aesthetic medicine modalities, including botox, to an existing practice, or launching a medical spa. This 2 day educational event showcases the most important clinical and business aesthetic medicine training. Physicians who complete the IAPAM’s Symposium have a competitive advantage. A preview of the Aesthetic Medicine Symposium with Botox training can be viewed on YouTube at http://www.youtube.com/watch?v=Of-jMxVNLOY. – dedicated instruction from board-certified dermatologists, who are true experts of the skin and cosmetic injectables. – hands-on practice in the best injection techniques. – botox training at a multi-million dollar medical practice, not in a hotel room. – an environment that does not allow exhibitors, giving doctors more time for education. – the opportunity to attend the Symposium’s Aesthetic Practice Startup Business Workshop on the Monday after each Symposium, a program highlighting the latest information on medspa business development and social media marketing as taught by Harvard Business School. – the opportunity to attend the IAPAM’s Clean Start hCG for Weight Loss Program on the Friday before each Symposium, which covers hCG for weight loss, prescription appetite suppressants, ketogenic diet based programs, meal replacements and B6/12 injections. For additional information and to register for an upcoming Aesthetic Medicine Symposium and/or hCG Medical Weight Management Training, please contact the IAPAM, at 1-800-219-5108 ext. 704, or visit http://www.aestheticmedicinesymposium.com or http://www.aestheticmedicinesymposium.com/physician-hcg-weight-loss-training. Botox is a trademark of Allergan, Inc. The IAPAM announces the date for its next Physician hCG Training seminar September 13, 2013 in Scottsdale, AZ. Las Vegas, Nevada, USA (July 24, 2013) — With all the talk of Obamacare and reductions in insurance reimbursements in the US among physicians, it is more important than ever for physicians to set up non-insurance based revenue centers in their practices, including a weight loss (hCG) program. To support this initiative, the IAPAM announces the date for its next Physician hCG Training seminar September 13, 2013 in Scottsdale, AZ. Register today for the September 13, 2013 training session. To register or for more information, please visit http://iapam.com/physician-weight-loss-training-using-hormones or contact the IAPAM at 1-800-219-5108 ext 708. Join the IAPAM for its next hCG Training session of the new year, on May 3, 2013, and offer hCG for Weight Loss to your patients. Las Vegas, Nevada, USA – April 6, 2013 — In an article in Medical Economics, it was reported that, “the United States has a weight problem, and physicians are being called on to adapt their practices to confront it.” The IAPAM is helping physicians “adapt their practices” to capture this weight loss market, by offering their physician-led hCG Training in Scottsdale, Arizona on May 3, 2013. Physicians will learn and receive everything they need to start safely and profitably offering hCG for weight loss to their patients as they start the new year. In an article in Medical Economics, it was reported that, “according to the Centers for Disease Control and Prevention (CDC), in 2010, more than 78 million U.S. adults…..were obese.” To combat this growing obesity epidemic, the IAPAM (http://www.iapam.com) has trained over 900 physicians on how to effectively offer hCG (human Chorionic Gonadotropin) for “substantial early weight loss” to their patients. 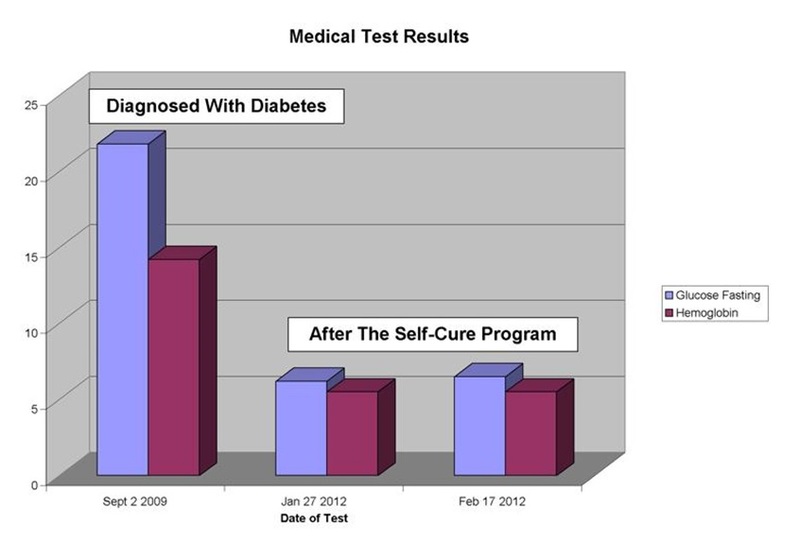 To date, well over 35,000 patients have successfully lost weight on hCG using the IAPAM’s Exclusive hCG Diet (http://www.hcgtraining.com), based on Dr. Simeons manuscript, Pounds and Inches (http://www.iapam.com/dr-simeons-pounds-and-inches-manuscript.html). – Patient education DVD, that gives your patients an overview of the entire program, and answers the most common questions. – Patient Guidebook, that explains the program in detail, including over 50 program tips, as well as over 20 pages on the all important “maintenance” phase of the program. It includes information on: portion size, the Glycemic Index, how to read a nutritional label, tips on how to combat emotional eating and cravings. – Quick Tip Sheets giving your patient the most important tips and a take-away shopping list complete with calorie counts. – Cookbook with over 50 recipes for all 3 phases of the weight loss program. – Food Journal for your patients to record their daily food intake. This program was designed to answer the most common questions, saving physicians time, allowing them to see more patients, and generate more non-insurance based practice revenues. Register today for the May 3, 2013 training session. To register or for more information, please visit http://iapam.com/physician-weight-loss-training-using-hormones or contact the IAPAM at 1-800-219-5108 ext 708. Physicians will learn and receive everything they need to start safely and profitably offering hCG for weight loss to their patients as they start the new year. Las Vegas, Nevada, USA – January 31, 2013 — The report, “How Obesity Threatens America’s Future 2012,” states that, “if obesity rates continue on their current trajectories, by 2030, 13 states could have adult obesity rates above 60 percent, 39 states could have rates above 50 percent, and all 50 states could have rates above 44 percent.” To meet this consumer demand, the IAPAM is helping physicians enter this lucrative market, by offering their physician-led hCG Training in Scottsdale, Arizona on March 22, 2013. Physicians will learn and receive everything they need to start safely and profitably offering hCG for weight loss to their patients as they start the new year. With less talk about hCG on talk shows, hCG weight loss is now going back into physicians offices as one of the most effective rapid weight loss tools available. This is a safe, quick program that works with most patients. According to Shape magazine, the hCG Diet is the second most popular diet in North America, and in response to the grim statistics shared in this year’s “F as in Fat 2012 Report,” in the US, the hCG for weight loss protocol is positioned to have strong growth again in 2013. To that end, the IAPAM has trained over 900 physicians on how to effectively offer hCG (human Chorionic Gonadotropin) for “substantial early weight loss” to their patients. To date, well over 30,000 patients have successfully lost weight on hCG using the IAPAM’s Exclusive hCG Diet (http://www.hcgtraining.com), based on Dr. Simeons manuscript, Pounds and Inches (http://www.iapam.com/dr-simeons-pounds-and-inches-manuscript.html). Join the IAPAM for its next hCG Training session of the new year, on March 22, 2013, and offer hCG for Weight Loss to your patients as they prepare for the new year. •Patient education DVD, that gives your patients an overview of the entire program, and answers the most common questions. •Patient Guidebook, that explains the program in detail, including over 50 program tips, as well as over 20 pages on the all important “maintenance” phase of the program. It includes information on: portion size, the Glycemic Index, how to read a nutritional label, tips on how to combat emotional eating and cravings. •Quick Tip Sheets giving your patient the most important tips and a take-away shopping list complete with calorie counts. •Cookbook with over 50 recipes for all 3 phases of the weight loss program. •Food Journal for your patients to record their daily food intake. Register today for the March 22, 2013 training session. To register or for more information, please visit http://iapam.com/physician-weight-loss-training-using-hormones or contact the IAPAM at 1-800-219-5108 ext 708. The IAPAM’s hCG Training program has been enhanced. Join the IAPAM on November 9th, 2012 for this industry-leading hCG Training. Las Vegas, Nevada, USA – October 16, 2012 — The IAPAM’s hCG Training program has been enhanced. The IAPAM’s Clean Start hCG Weight Loss seminar will give physicians additional content and practice resources, including a turnkey Patient hCG Protocol Kit, to facilitate adding hCG for Weight Loss to a busy practice. Join the IAPAM on November 9th, 2012 for this industry-leading hCG Training. – Patient education DVD, that gives patients an overview of the entire program, and answers the most common questions. – Quick Tip Sheets giving patients the most important tips and a take-away shopping list complete with calorie counts. – Food Journal for patients to record their daily food intake. This program was designed to answer the most common questions in advance, saving physicians important time, and allowing them to see more patients, and generate more non-insurance based practice revenues. What revenues can one expect to see by offering the IAPAM’s Clean Start Weight Loss program? With 68.8% of Americans overweight or obese, seeing 30 patients a month should not be a problem for most practices. The IAPAM’s new hCG Training video (http://www.youtube.com/watch?v=d-YGEQ0t0yw) outlines the IAPAM’s New Clean Start hCG Weight Loss program. Register today for the November 9th, 2012 training session. To register or for more information, please visit http://iapam.com/aesthetic-resources/clean-start-weight-loss-program or contact the IAPAM at 1-800-219-5108 ext 708. The IAPAM’s hCG Physician Weight Loss Program has been enhanced. In September 2012, the IAPAM will unveil its NEW hCG Training program: The IAPAM’s Clean Start Weight Loss Program™. Las Vegas, Nevada, USA – August 31, 2012 — The IAPAM’s hCG Physician Weight Loss Program has been enhanced. In September 2012, the IAPAM will unveil its NEW hCG Training program: The IAPAM’s Clean Start Weight Loss Program™. This enhanced hCG Training seminar will give physicians additional content and practice resources, including a turnkey Patient hCG Protocol Kit, to facilitate adding hCG for Weight Loss to a medical practice or starting up an hCG clinic. The IAPAM’s new hCG Training video (http://www.youtube.com/watch?v=d-YGEQ0t0yw) outlines the launch of the IAPAM’s New hCG Training Program: Clean Start Weight Loss™. This program is based on the IAPAM’s respected Physician hCG Training program, but includes several new patient and physician resources including an updated hCG Protocol Patient Guidebook, a new hCG Recipe book, and a new hCG Food Journal. This training and these new resources will allow any busy physician to quickly and safely incorporate hCG into a busy practice and allow physicians to generate some non-insurance based revenue. As patient education is critical to the long term success of clients on an hCG protocol, the new Clean Start hCG Patient Kit will assist physicians in addressing frequently asked patient questions and concerns regarding an hCG program. After the initial clinical consultation with the hCG Physician, this all-in-one kit gives patients everything they need to begin the hCG program. This new Patient Package, including an comprehensive, informational DVD and many patient materials, concisely covers all aspects of the protocol for the patient – it is a significant time saver for physicians and their staff. •Enhanced Weight Loss Practice Advertising & Marketing Tips and Strategies. •Special Pricing for hCG and Meal Replacement Products. All of the IAPAM’s hCG Training seminars in 2010, 2011 and 2012 have sold out, so REGISTER soon for the next session. To register or for more information, please visit http://www.hcgtraining.com, or contact the IAPAM at 1-800-219-5108 ext 708. Glenmore Healthcare are helping patients achieve significant and sustainable weight loss using hCG and the proven IAPAM hCG Protocol. Calgary, Alberta, August 14, 2011 — A recent study found that, “more than 1.7 billion people worldwide may be classified as overweight and need medical treatment to achieve sustainable weight loss.” To meet this demand, the physicians and staff at Glenmore Healthcare are helping patients achieve significant and sustainable weight loss using hCG and the proven IAPAM hCG Protocol. Researchers in Canada recently published a study that found “that over a six-year period almost half (43%) of the patients of a weight-management clinic dropped out of the program before achieving sustainable weight loss.” The study also found that substantial early weight loss, like that associated with a physician supervised hCG program, served as a successful motivator to continue a weight loss program, and that of those patients who achieved a substantial early weight loss, only 12% dropped out of the their program. To help patients achieve this early and sustainable weight loss, the physicians at Glenmore Healthcare offer the city’s most successful hCG for Weight Loss program (http://www.glenmorehealthcare.com/our-program). Glenmore Healthcare’s exclusive hCG Weight Loss Program is a proven medical solution for optimal weight loss and maintenance. Based upon the successful protocol originally developed in 1954 by Dr. Simeons, as detailed in his report, Pounds and Inches, and refined by the International Association for Physicians in Aesthetic Medicine (http://www.iapam.com) in 2010, the Glenmore Healthcare’s hCG medically supervised weight loss program is built around a low calorie diet coupled with the administration of the pharmaceutical grade of the naturally occurring hormone, hCG (human Chorionic Gonadotropin). Glenmore Healthcare follows the IAPAM’s hCG Weight Loss Protocol, which has been administered to over 26,000 patients around the world with consistently safe and effective weight loss results. Patients participating in the Glenmore Healthcare’s hCG for Weight Loss Program are monitored by a licensed physician who specializes in hCG for weight loss. Labs, vital statistics and body composition analysis are recorded prior to starting the program. Patients at Glenmore Healthcare have lost as much as 20 pounds on their 26 day program, and 35 pounds on their 43 day program. At the end of the program, clinic staff test a patient’s RMR (Resting Metabolic Rate) with the same equipment as used on NBC’s “The Biggest Loser.” Glenmore Healthcare is the only hCG Clinic in Calgary to offer RMR testing and analysis.